Remark: All of our Dives are boat dives including snacks and drinks. 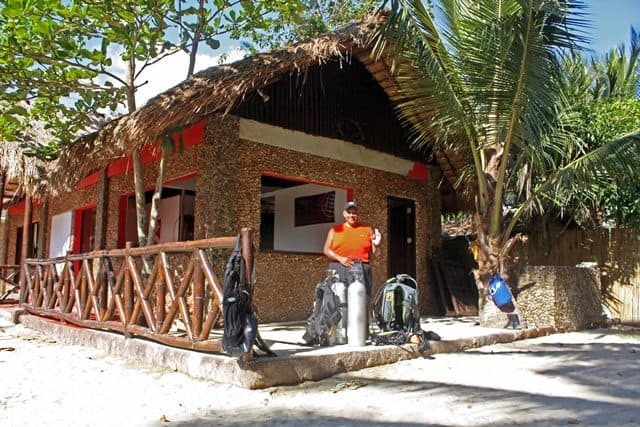 DJ’s Honda Bay Diving is a “Full service Dive Center” under German management. We aim to explore the nearly untouched underwater world of the Zulu Sea, situated just in front of our beach, for divers worldwide. Besides, it is our concern to use our extensive experiences in other diving regions to protect this fragile living space and its inhabitants with lasting effect. For our diving-inexperienced guests we offer with pleasure our Try Scuba program, also called “Fun Dives” or “Diving for non-divers”. With the Try Scuba program you can experience your first fantastic underwater adventure. 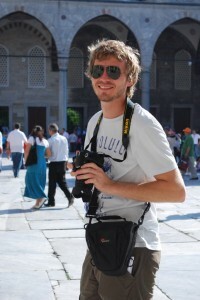 Under the supervision of a diving instructor you gain necessary knowledge which is given in short introductions. Then we will go with the boat to a shallows area where you have your first underwater experience. To complete this program and an unforgettable dive, a certificate is issued as recognition. The Try Scuba program lasts around 3 hours. With us one might have unique possibly and chance of meeting with the “gentle giants”. Consciously we have decided against the classical diving with whale sharks and offer exclusively guided snorkel tours with these impressive sea inhabitants. 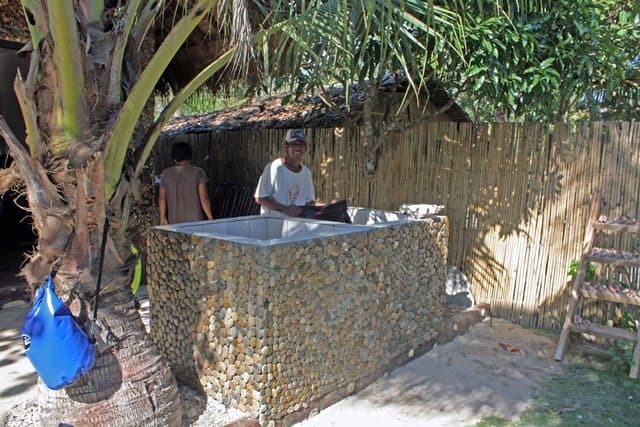 DJ’s Honda Bay Diving stands for protection of the Zulu Sea, its reefs and their inhabitants. To take part at this snorkeling adventure you have to have a certain snorkel experience which is important while being in the water with whale sharks. Our experienced guides give aboard a short introduction in dealing with the up to 12-meters-long and 12-ton heavy fish. The best chances for whale shark sightings are from end of March till the beginning of June and also during new moon phases. 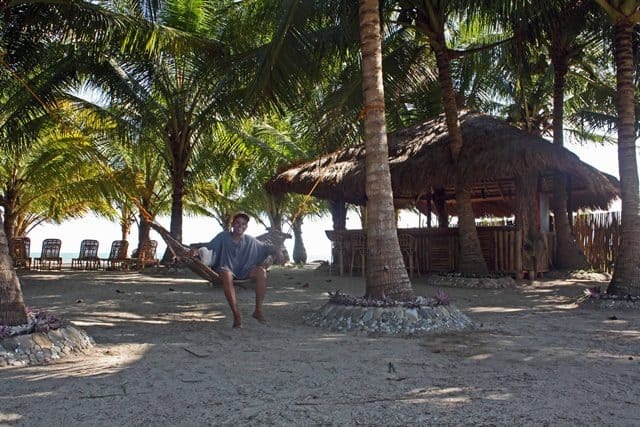 To allow these unique meetings to our guests, DJ Honda Bay Dive Centre stands in close contact with local fishermen of the neighborhood village of Lucbuan and with another dive center, some 30 kilometers away in Puerto Princesa. I am in puerta princessa in first week of november. 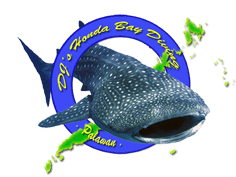 Would like to do your diving course..do you offer padi courses..
Hi do you do trips to look for whale shark, we would like to go on April 2nd if possible? Excellent article. I want to thank you for this informative article. 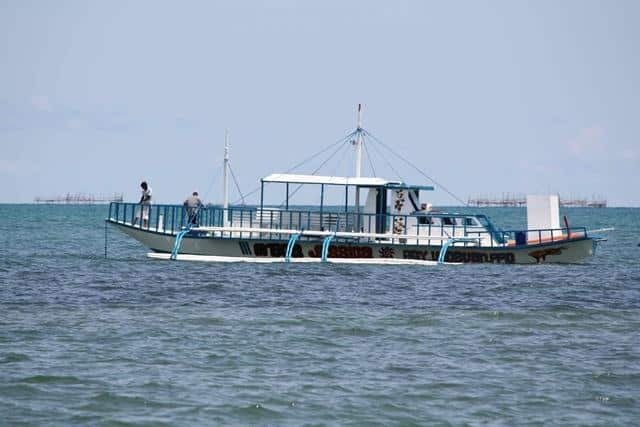 Me and two of my friends will be travelling to Puerto Princesa for whale sharks on April 10 or 11, and we would like to know at what time your whale shark tour start and ends? Also, what would be the price per person? Finally, you do leave from Puerto Princesa, right? I suggest that you contact the dive center directly for such precise information as they might not be checking on this page at all. Then, we’d be happy to read your review here once you have done the dives with them, or another company! Thank you for reading Divezone!